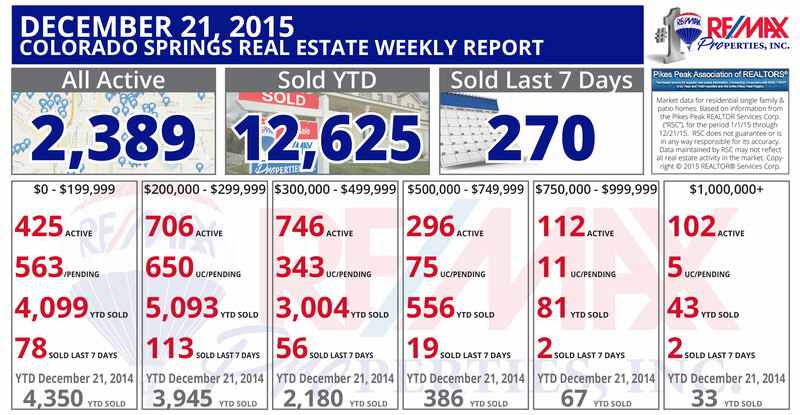 Weekly market update provided by RE/MAX Properties, Inc.
270 homes sold in the last 7 days! Winter is still a great time to buy or sell. 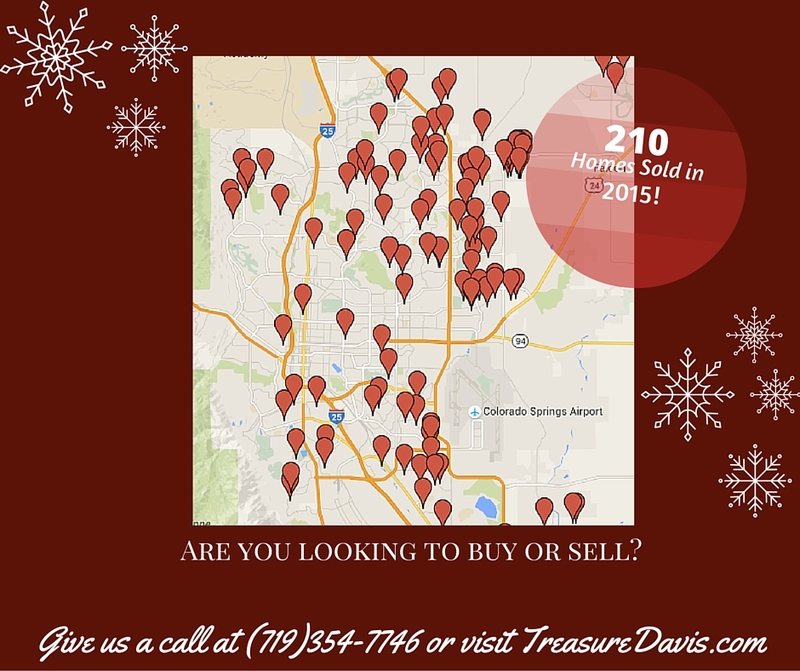 Call (719)354-7746 for more information about buying or selling right now. Need proof? Our team has sold 210 homes in 2015. We can help you in 2016 find the home of your dreams!